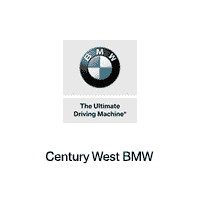 You might hear a lot of information about different All-Wheel Drive systems, which is why our team at Century West BMW wanted to make sure you could see all of the benefits that the xDrive system offers. All BMW SAV (Sports Activity Vehicle) models have xDrive as a standard or optional feature, and even some of the sedans do, making sure you can always feel confident behind the wheel. Under normal driving conditions, the xDrive system favors the rear axle with a 40/60 split of power, but when the system detects slippage, it sends the power to where you need it. It only takes milliseconds to distribute the power to maintain the best traction your vehicle can offer. By analyzing every condition, you can be sure that you will always be able to control your vehicle, giving you the confidence that you need when you are behind the wheel. While Hollywood might not be known for its rain or slippery weather conditions, the xDrive all-wheel drive system still offers many benefits for drivers. By distributing power to the outside wheels on a turn, you are able to have the most dynamic driving experience while still feeling completely in control. Still Have Questions? Contact Our Team to Have Them Answered! You can contact our team by phone or email, or you can take the short trip from the Los Angeles area to visit our dealership. We make sure to thoroughly answer your questions, taking all of the time that we need to make sure you are left completely satisfied with the information that you are looking for. We look forward to hearing from you when you have any questions, or when you want to find a new BMW model! 0 comment(s) so far on What is BMW xDrive?